A new threaded post on this topic can be found here. For previous posts about the Harreld hire, click the tag below. 12/11/15 — What the AAUP Report Means to Iowans. 12/10/15 — J. Bruce Harreld: Frequent Flyer. 12/08/15 Are you tired of playing fair and actually earning your successes in life? Then you should cut a deal with Bruce Rastetter. Updated 12/09/15. 12/07/15 — J. Bruce Harreld in his own words. 2 Videos. 2 Origin Stories. 12/03/15 — J. Bruce Harreld and Motive. Part 1. Part 2. 11/25/15 — J. Bruce Harreld: Co-conspirator. Part 1. Part 2. 11/21/15 — When a ‘vocal minority’ rallied on Friday to apologize to J. Bruce Harreld, the UI’s own Rod Lehnertz noted — perhaps unintentionally — that the vast majority of community and business leaders were not in attendance, and thus did not support the fraudulently elected Harreld. 11/19/15 — A few thoughts about UI traitor Jean Robillard and the ongoing AAUP investigation. 11/18/15 — For months Jean Robillard tells a consistent lie about needing J. Bruce Harreld to save UIHC. Harreld repays Robillard by both confirming and betraying the lie on the exact same day. 11/16/15 — It’s early May, 2015, and Jean Robillard is hard at work, betraying the University of Iowa. 11/13/15 — Jean Robillard, UIHC, and the axes of power behind the carpetbagging dilettante on the University of Iowa throne. 11/12/15 — With his Harvard MBA neutered, J. Bruce Harreld gets religion on campus culture. 11/11/15 — Hiring a Harvard MBA to run a university is not thinking outside the box. It is the box. 11/11/15 — Christopher Brochu writes an open letter to J. Bruce Harreld. 11/10/15 — Click here for nagging questions about the previously undisclosed secret meeting in early June, which was arranged by Jerre Stead, and attended by J. Bruce Harreld, Regents President Bruce Rastetter, Search Chair Jean Robillard and staffer Peter Matthes. 11/07/15 — The evolving J. Bruce Harreld origin story, and where it inevitably leads. 11/07/15 — Now that Iowa Board of Regents President Bruce Rastetter has his man at the helm at Iowa, what can the students, faculty and staff expect? To be used as a six-figure political retirement community. Job not advertised, no search conducted — just cold hard cash. 11/05/15 — Vanessa Miller of the Gazette reports on J. Bruce Harreld’s new venture: co-chairing a committee on monetizing the Cedar Rapids-Iowa City corridor. 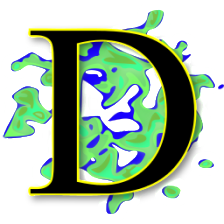 11/01/15 — Comprehensive summary to-date, by Eric Kelderman. What is the last post on the hiring of J. Bruce Harreld to be the next president at the University of Iowa was also the first. I originally wrote this post in my head — or rather, it wrote itself — on September 5th, two days after the election. I finally typed it out over this past weekend, after two months of doing my best to understand the pathology that led to his appointment. Over that span I discovered more ugliness than I would have thought possible, most of it in human form. While this post is informed by that ugliness, and my newfound awareness has reinforced my original conviction, it is in spirit unaltered. Prior to Harreld’s election my only thought about the retirement of Sally Mason was that I hoped the new president would make two pressing cultural issues a priority. Those issues were alcoholism and sexual assault, which are obviously intertwined. If you’re not familiar with Iowa City it has always been a small town wrapped around a big university, and just off campus there have always been innumerable bars. But drinking is one thing, and routinely ranking among the top ‘party schools’ in the country another, and Iowa has been on those lists far too long. Likewise, while Iowa didn’t invent sexual assault, and it is a problem on campuses nationwide, without addressing the underlying causes, including alcohol use and abuse, and particularly binge drinking, it will be impossible to make lasting gains. I cannot say that I paid close attention to Sally Mason’s tenure. I know she didn’t cause the floods that took much of her time, and I’m grateful for her efforts in helping the campus recover. What I did not know, and now appreciate, was how virulently and personally hostile the Board of Regents was to her. Between unwarranted condescension and intentional efforts to discredit her, I am surprised she lasted as long as she did. I would not have. As an alum, my interest in Harreld’s election has grown over the past two months, because each time I try to find a silver lining in what is otherwise a colossal cluster, I come up empty. Whatever you’ve heard about your new president, and however you feel about the various frauds that were perpetrated in order to elect him, one thing you probably haven’t heard is that he’s decreasing the value of your education, but that’s objectively true. It may seem incongruous given that Harreld’s claim to fame is saving IBM from bankruptcy, and that his supporters are enthralled by his Harvard MBA, but behind that sales facade is a man who — as of the date of this post — has exactly the same amount of experience in academic administration that you do. By hiring J. Bruce Harreld against the wishes of the vast majority of faculty and staff, the Board of Regents foisted a president on the university who has, even before taking office, cost you money for two separate but related reasons. We’ll get into those reasons in a moment, but the big-picture takeaway is that unlike everyone else in this debacle, you, the students of the University of Iowa, are paying for this bureaucratic abuse. Everybody else is getting a paycheck and will probably continue to do so no matter how bad things get. You, on the other hand, are paying for the privilege of being an unwitting test subject in an experiment authorized by five corrupt members of the Board of Regents. One of the things I continually forget in life is that there really are people who cannot be embarrassed. I think everyone believes they feel some level of embarrassment, but objectively, when you look at what people do as opposed to what the say, it’s clear that some people do not register the kind of mortification you or I would experience if we did something wrong and were caught red-handed. An obvious case in point, of course, would be the new president of the University of Iowa, J. Bruce Harreld. Not only was Harreld’s resume insufficiently proofed, but he was caught lying about himself in two entirely different ways. One of those ethical breaches was so antithetical to higher education that the Iowa faculty censured him before he took office. Yet in the aftermath of that rebuke it never occurred to Harreld that his personal failings disqualified him from a job he had lied his way into. A normal human being would never get over that. They would go on, but they would remember the sting of that public unmasking for years. J. Bruce Harreld is still scheduled to take office on November 2nd, and by his own press-release is determined to fight any slurs against his plastic values. On Monday I was again reminded that some people do not have the capacity to experience normal human embarrassment when Iowa Governor Terry Branstad took time out of his busy day to dismiss recent revelations by regent Subhash Sahai. While it was known that five members of the Board of Regents, led by President Bruce Rastetter, conducted secret meetings with J. Bruce Harreld, what was not known is that the other four members knew nothing about those meetings until after the final vote. Like the wind-up governor he has apparently become, after Rastetter threw Sahai under the bus late last week, for the third time the governor came to Rastetter’s defense over what is clearly a fraudulent hire. Branstad was asked about Sahai’s concerns this morning during the governor’s weekly news conference. “I would point out the last time the Regents went through this, choosing a president of the University of Iowa, they had similar controversy,” Branstad said. As the governor knows, there is no equivalence between what happened with the fraudulent Harreld hire and what happened in 2006, except that in both cases a politically connected and heavy-handed regents president decided that the board was his to do with as he pleased with. Yet even if there was some equivalence, you don’t simply overlook accusations of criminal or malfeasant behavior because those accusations sound like something that happened in the past. The police respond to each call in order to determine whether a crime was committed. The fire department responds to each call in order to determine whether there’s a fire. And the governor should respond to each report of malfeasance or criminality in his own government, in order to determine the facts of each case. So how can the governor square his claim that he played no part in the hiring process, even as he only spoke to one candidate, and that candidate was J. Bruce Harreld? Well obviously he can’t, but he doesn’t care about that. Politically, the governor has to insist that he played no part in the hiring process in order to establish plausible deniability, so that’s why he said what he said, even as that claim is in direct conflict with what he actually did. Unless there’s a federal investigation and the governor is put under oath, however, he knows there’s no price to pay for appearing incoherent in the eyes of the citizens that he technically serves. Like I said, I forget there are people like that, and that quite often the very thing that allows them to take to the political stage is an inherent incapacity for empathy or self-awareness. If, as a politician, you have no problem defending pink slime against a non-existent conspiracy, you’re probably capable of doing or saying anything, particularly in defense of the people who bankroll your campaigns. Even if that means stomping on a sacred trust, or on a good and loyal Iowan that you yourself appointed to protect that trust. This past Wednesday and Thursday several important events took place in the ever-unfolding nightmare that is the election of J. Bruce Harreld to be the next president of the University of Iowa. Those events centered on and around the Iowa Board of Regents, which, in early September, reported a unanimous vote in Harreld’s favor, despite the fact that Harreld was manifestly unqualified for the position. In previous posts we have looked at various dynamics involved in the search process, and we have documented the administrative fraud that occurred in the search committee itself. We have also pointed out, however, that the entire search process is not separate from the Iowa Board of Regents, but a function of the board, and as such any malfeasance is ultimately the board’s responsibility. In this post we will look at the final vote by the nine-member Board of Regents, which took place after the conclusion of the search. In doing so it’s important to keep the following facts in mind. First, the board is not obligated to call a search. It can simply elect someone by whatever criteria it deems important. Second, if the board decides to initiate a search at taxpayer expense, for whatever reason, there is an implicit expectation that the search will be conducted fairly, so all candidates have an equal opportunity to present themselves throughout the search process. Third, in this search, when the committee concluded its business it sent four finalists to the board for a final vote. No other body, and no individuals other than the nine members on the Board of Regents at that time, had a say in who would be elected. In trying to comprehend why the Iowa Board of Regents chose a completely unqualified candidate to be the next president of the University of Iowa, as opposed to one of three eminently qualified finalists, we have turned over a lot of rocks and exposed a great deal of deceit. To date, the most plausible explanation for the regents’ otherwise inexplicable decision is that they elected the candidate that would give them the least possible resistance when implementing their plans, regardless of the damage that selection did to the university itself. While I think that’s still the most likely explanation, we are now compelled by the facts to consider a motive other than politics or rank ego. For the record, this is not something I wanted to write about or even consider, but the only alternative was to remain silent out of discomfort, and that’s obviously not an option. Intolerance does exist in many guises, and people do have unspoken motives, which they do not utter because they know those motives are culturally indefensible. I am not interested in anyone’s religious affiliation, and I think everyone has a right to their own religious views. However, I also believe in the separation of church and state, and I believe that the University of Iowa is a state institution. If you’ve never heard of a man named Jerre Stead, join the club. Like most of the characters in the tawdry drama surrounding the hiring of J. Bruce Harreld to be the next president of the University of Iowa, I’d never heard of Stead until a few weeks ago. In fact, I read an article about him last month, and saw him listed on the search committee roster several times, but I still forgot almost everything I read. Recently I revisited the article about Stead, who is yet another millionaire donor singing Harreld’s praises, and doing so clarified a couple of points alluded to in the previous post. 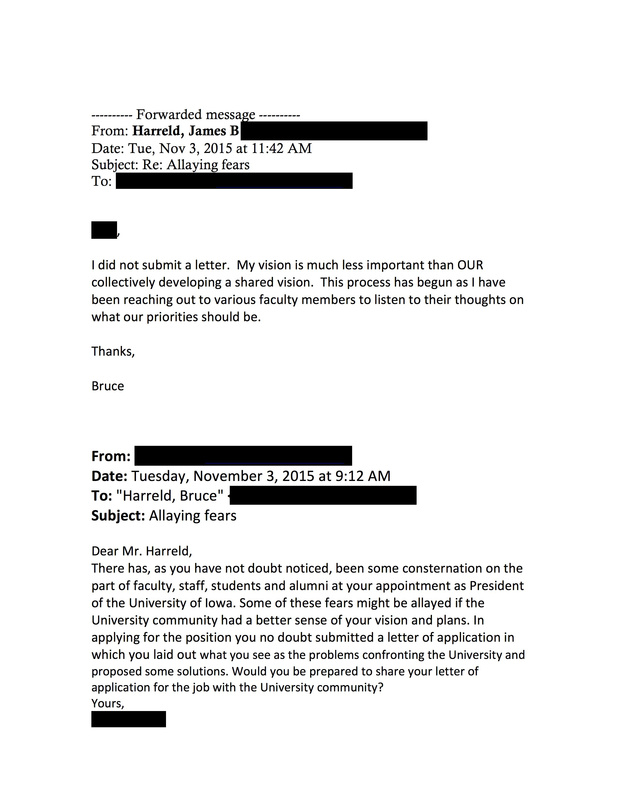 Specifically, it was noted that although Iowa Board of Regents president and fellow search-committee-member Bruce Rastetter, and chair of the search committee and acting University of Iowa President Jean Robillard, both claim to have recruited Harreld first — even as those claims are at variance with Harreld’s own narrative about how he was nominated — neither Rastetter nor Robillard have had anything to say about how and when they first learned of Harreld. One minute Rastetter and Robillard have no knowledge of J. Bruce Harreld, the next minute they’re committing serial fraud by giving Harreld blatant preferential treatment in a sham search that they could have avoided by hiring Harreld outright. And no, it makes no sense to me, either, but that’s where Jerre Stead comes in. Whether this is your first Ditchwalk post about the election of J. Bruce Harreld to be the next president of the University of Iowa, or you’ve been torturing yourself by reading along, I have good news. In this post we’re going to use everything we’ve learned to answer two lingering questions. The first question, which arose in the previous post, is why the acting president of the university and former search committee chair, Jean Robillard, lied about Harreld’s reason for visiting Iowa City on July 8th. The second question, which follows from all of the ‘Harreld hire’ posts on Ditchwalk, is whether the fraud that was committed during the search by Robillard and Regents President Bruce Rastetter rises to the level of a criminal offense. In the previous post about the election of the new University of Iowa president, we discussed three administrative crimes of omission which gave J. Bruce Harreld preferential treatment that no other candidate received. Included was a phone call Harreld received from Governor Terry Branstad, sometime in August; meetings Harreld held with four regents on July 30th, plus dinner that evening with ISU’s President Leath; and a “VIP lunch” and presentation Harreld was afforded on July 8th, which was attended by, among others, search committee member and Iowa Board of Regents President Bruce Rastetter, search committee chair and acting Iowa President Jean Robillard, and two other members of the search committee. At some point in the search process a determination was made that it was okay to offer those opportunities to Harreld. To-date, however, Robillard and Rastetter have failed to explain how those determinations were made. Because the weight of evidence suggests that they conspired to deprive other candidates of those opportunities, it is now incumbent on Rastetter, Robillard and even the governor to do what the Cedar Rapids Gazette suggested over a month ago. It’s not uncommon for university instructors to demand their students thoroughly show their work. Not doing so can result in a lower grade, even if they arrive at the right final answer. We think the same applies to the Iowa Board of Regents, which voted unanimously to hire Bruce Harreld as president of the University of Iowa. Clearly, the board is convinced that its unconventional choice of a former IBM and Boston Chicken executive with no university administrative experience is the right answer. They may be correct, but we believe the regents have failed to show their work. Even if we allow, as the Gazette does, that the decision to hire Harreld may have been arrived at fairly, it’s clear that the key decision points remain cloaked in secrecy. Between claims of confidentiality from Parker Executive Search, which the regents hired at twice the normal rate, the confidentiality imposed on the search committee, and the secrecy of the final interviews and vote by the regents, we have only the announcement of their nine-to-nothing vote to go on. What the regents have yet to do is explain how they got to that conclusion by showing their work. Rastetter said the regents were well aware of the concerns raised by the UI faculty. The board received a cautionary Sept. 2 email from UI Faculty Senate President Christina Bohannan, the night before the regents’ closed-session interviews with Harreld and the other three finalists for UI president. “A number of the regents hadn’t even interviewed the candidates when we heard one wasn’t acceptable,” Rastetter said. While we’ve heard quite a bit from Rastetter, and from Regent Katie Mulholland, and several of the other regents who met with Harreld on July 30th, at least four of the regents are missing from the post-vote conversation. Even though the regents are political appointees, and Govern Branstad went against the intent of the law that created the regents by packing it with political cronies, we also can’t be sure that all of the regents were aware of the special treatment Harreld received. Did they all know about the phone call from the governor? Did they all know about the meetings in Ames, or the dinner with Leath? Did all of the regents know about the July 8th “VIP lunch”? Because if they didn’t know about those things, and wanted to know about those things, I’m not sure the vote itself can be said to be fully informed. And that’s particularly true given that we don’t know how they finally arrived at their nine-to-nothing decision. It is a given that the regents as a body are corrupt. It is not a given that all nine members of that board have forgotten what personal integrity means to Iowans. In that silent minority there may be at least one member who is aghast at what was perpetrated in their name, and at how their vote now validates the administrative crimes that were systematically used to elect J. Bruce Harreld. In the previous two posts we decided that fairness would be our only test for evaluating the search process that resulted in the hiring of J. Bruce Harreld as the next president of the University of Iowa. We also exposed a number of dodges that acting University of Iowa President Jean Robillard and Iowa Board of Regents President Bruce Rastetter have been using to confuse and obscure the question of fairness. Finally, we looked at how a fair search process would be conducted by a fictional committee determined to meet that test, and in so doing learned that the two critical aspects of a fair search are decision making and communication. We then compared that fictional committee to the search committee that Rastetter was on and Robillard chaired. In doing so we noted that while it has been clearly established that Rastetter, Robillard and even Governor Branstad gave Harreld preferential treatment, what has been overlooked is that Rastetter and Robillard also subverted the entire committee process. In this post we will consider how administration of the Harreld search would have been done if the search process had been fair to all candidates, and how the search was actually administered. As we saw in the previous post, if you do something you’re not supposed to do, then lie about it, that’s a crime of commission and a lie of commission. If you don’t do something you’re supposed to do that’s a crime of omission, and if nobody asks you about that crime your silence is a lie of omission. As you might imagine, it’s much easier to detect and prove crimes of commission precisely because something happened — a physical injury, a loss of funds, property damage. With a crime of omission you have to know that something should have happened to even suspect that a crime took place. Until you do, there’s no chance that you’ll stumble on evidence that leads you to ask the right questions. As damning as all that might be, however, those crimes are dwarfed by the administrative crimes of omission that were perpetrated against the search committee itself. What makes identifying those crimes particularly difficult is that nothing Rastetter, Robillard and Branstad failed to do rises to the level of illegality, meaning even though the search was fraudulent, their complicity appears to be nothing more than laziness, incompetence, or typical bureaucratic confusion.